I’ve thoroughly enjoyed playing with the new Betmaid app. I’ve even felt, at times, as if I were part of the software development team, as this very new product has been being built whilst I’ve been testing it. But of course, my involvement hasn’t been entirely altruistic. I explained in my original introduction that there is a serious shortage of decent in-play betting tools for smartphones. So… has BetMaid finally closed that gap by making phone-based football trading a reality? BetMaid is a very good value tool that you can use in-play to trade more effectively. I thought it was cheap when I began the trial — it costs just £9.99 a month — but with all the recently added features, it is now a standout bargain. The last two items are recent important additions that any value trader would want to see. Now, when I originally urged inclusion of prices, the developers simply added current odds as an output but didn’t let you use them to select games. I argued strongly for their inclusion as a primary filter. I pointed out that it doesn’t really matter if one team is, say, dominating its opponent if recent form and match odds suggest that this should be the case anyway. We need instead to be able to take recent form and in-play odds into account alongside in-play performance so that we can highlight the most appealing opportunities: e.g. where a variance from the expected outcome appears to be on the cards. Thankfully, the developers took my comments on board – so we now have a much more powerful product at the same appealing price. The upshot is that you can now have games flagged up to you instantly that meet a whole range of crucial market entry criteria. And that should be good news for any serious trader. On the other hand, I was unable to make money with the pre-defined trading strategies. I reported last time that 30 trades had generated a small net loss. Well, this time, once I’d migrated to the latest software version, I used the pre-set filters to complete a number of trades. 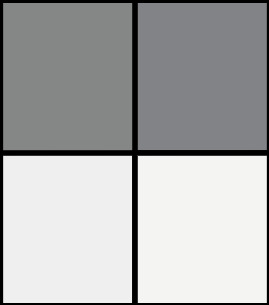 Clearly, it’s hard to argue that the pre-defined filters deliver an out-of-the-box trading edge. But I believe that’s not unreasonable. Because ultimately, the point of this product is to help you trade. 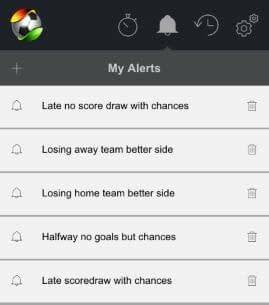 You design the filters you want, and thereby create, in effect, your personalised betting app. It’s probably unrealistic to imagine that a standard set of pre-set criteria for just £10 a month will deliver an instant edge. 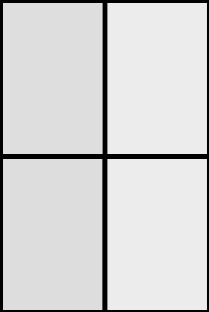 Instead, you should regard the standard filter set as a starting point that shows you how the thing is done. BetMaid is very good value and available for free for your first week. It’s gorgeous-looking and super-easy to use. And as it sits on your smartphone, it can go wherever you go. So, for ease of use, practicality and as a tool within the punter’s armour, I’m going to award Betmaid a Pass. 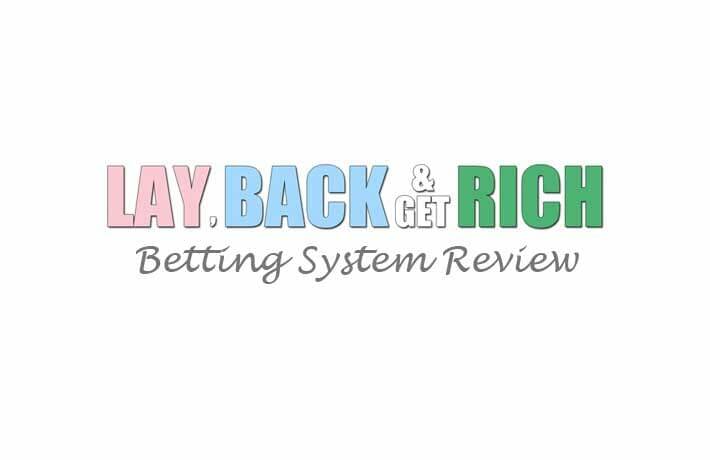 It is not a get-rich-quick betting system that will make you a fortune out of the box. It is however an invaluable weapon in the trader’s arsenal – and for that reason, it deserves its rating. You can read more about BetMaid here – including having a free go via their free 7-day trial. There are few betting systems that have been explicitly designed for tablets and smartphones. In fact, I am struggling to think of a single one: other than Betfair’s own trading app, of course. And, in view of the bookmakers’ recent collective conversion to portable, in-play betting, it does appear to represent an enormous opportunity for someone. Stepping into this market void is an appealing new app called BetMaid. Its role in life is to help you trade better by flagging up in-play opportunities that match your pre-defined alert criteria. So… can BetMaid make you richer? And if so, how? Because it’s all very well to have a killer strategy for, say, goalless games at half-time that have so far produced dozens of chances. Well, this is where BetMaid may be able to help. 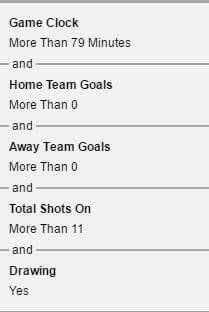 It allows you to specify ‘alerts’ to highlight live matches that meet the precise criteria you’re looking for. By flagging up in-play games that satisfy your requirements, it allows you to jump quickly on trading opportunities. And the alerts are certainly very easy to set up. You can base your alerts on all the statistics that would typically be displayed as part of a live TV broadcast. So the idea is – it’s like being there, enabling you to use your skill and judgement to predict what’s likely to happen next. Interestingly, I am told that BetMaid has been recently enhanced to include market odds within the notification messages generated by your alerts. So you can decide quickly whether or not it’s worth your while to hop on the trade. BetMaid will come up against some stiff competition as there are already a lot of tools around to help football traders. But it scores in a number of important ways. Firstly, at just £9.99 per month, it’s currently very cheap. 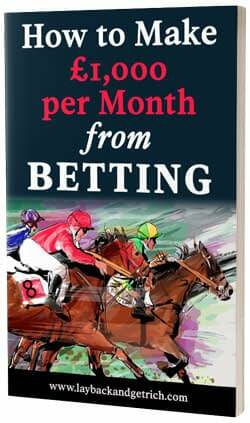 InPlay Trading, for instance, is currently retailing at £39 per month. Secondly, it lives on many different platforms so it can go anywhere I go. I have it installed on my Windows laptop and my iPhone, and have noticed already that the alerts I created on one have appeared on the other. Thirdly, it’s easy on the eye and easy to use. So I get the feeling, I’m going to like it. And of course, it’s Friday and the usual ocean of weekend football is coming. So I will make a start with my five alerts and let you know in a month or so how I am getting on. In the meantime, you can find out more about BetMaid here – and even take advantage of their free 7-day trial. It’s been fun fiddling about with the whizzy new Betmaid app. And, as I pointed out in my trial introduction, there remains a dearth of credible betting apps for smartphones. Meaning that, if Betmaid can win over hearts, minds and tapping fingers, it could have a bright future. So… has BetMaid been quietly growing the betting bank on my smartphone whilst I’ve been out and about, shopping, working and generally not at my PC? No, not yet it hasn’t. But it’s probably too early to say it won’t happen. Firstly, BetMaid is very pretty. I can’t over-emphasize this. I just love the user interface. BetMaid is smart and intuitive and requires no training to use. Just install it, open it and go. I defy any new user not to pick it up straight away. Defining alerts is also extremely simple. Indeed, the risk is that you find it so easy that, if you’re anything like me, you go mad and create stacks of the things. However, this isn’t recommended as it pretty much guarantees chaos on Saturday afternoon when your phone starts alerting you every twenty seconds! You can also use BetMaid simply to track matches you’re already interested in, on account of an ongoing trade for example. In this case, a favourites star button filters out the matches you’re after. Secondly, BetMaid is being developed all the time. In the short time since I got hold of it, a new version has come along that flashes the latest Bet365 odds at you as part of the alert text. Further changes are in the pipeline to allow you to design alerts based on price: which I think could prove very powerful. The Betmaid team also plan to include information about recent form. Again, if this data can be made available when you build your alerts, it could prove helpful. Thirdly, BetMaid is very good value. I know I said this last time, but now I’ve got to grips with it, I think it’s only fair to emphasize the point. You get a free 7-day trial then pay £9.99 a month. I simply can’t think of another alert-style product at this price point. So Betmaid could prove to be one very popular app. All that’s missing are the strategies. I listed last time all the things you can set alerts for: and it makes for a comprehensive list of in-play indicators. The trouble is, unless you already have a winning idea that works in-play, you may struggle to make progress. For instance, I’ve built an admittedly simple alert that aims to flag up matches that remain level with just a few minutes to go. The criteria look like this. On the plus side, I can report that Betmaid appears to be correctly flagging up games that meet my filter criteria. So yes, functionally, it appears to work beautifully. I will let you know the details if he comes back with a definite Yes. BetMaid is cheap and even available for free for a week’s trial. And it’s pretty and easy to use. I found myself liking it the very moment I first used it. And I haven’t changed my mind since. I just would like to know if there’s somewhere I can go to pick up a few winning ideas! Maybe Betmaid could open a little marketplace where users can share, review and maybe even sell alerts? Or maybe there’s a Facebook forum waiting to happen, where users share best practice for mutual benefit? In their absence, I will attempt to develop some more strategies of my own, before returning with a final report in a month’s time. You can read more about BetMaid here – including having a try yourself with their free 7-day trial.